BeamReaders is a one stop center offering diagnostic dental imaging services with end-to-end reports for CBCT and MRI scans. Our team of 40+ Oral and Maxillofacial Radiologists (OMRs) are focused on extracting the maximum clinical value out of every CBCT scan. Our easy-to-use and secure online portal help dental practices achieve their goals and at the same time improve patient outcome. Dr. David Hatcher, a seasoned OMR, is a prominent pioneer among private practices to scan dental patients with CBCT in 2001. With the increasing prevalence of CBCT units in the U.S., he started receiving scans via mail from all over. The growing piles of CBCT scans around his office clearly indicated that he needed support from other OMRs and eventually BeamReaders was incepted. 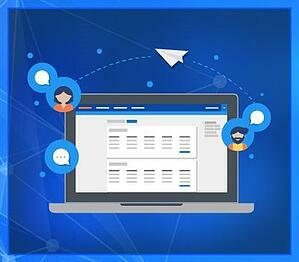 Interested to leverage this great platform? Take a tour to find out how it works! Our services are focused on creating a connect between OMRs and dental practices driving improved treatment planning, effective patient communication and better outcomes. We provide direct access to your radiologist through our secure online portal, so that your clinical questions are addressed in a concise manner. The usual turnaround time to get your reports is three business days, however, we do have an option of rush service that guarantees the report within one business day. The best part is that you can leverage the power and strength of our entire team to weigh in complex cases and get the best diagnostic interpretation. 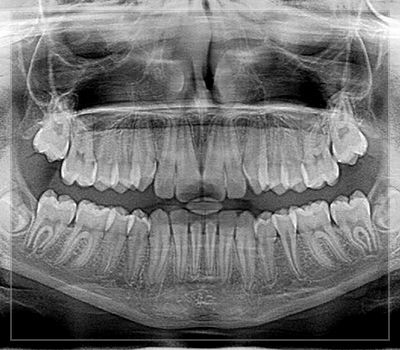 Image portfolios are designed keeping in mind clarity, accuracy and customization in order to suffice the clinical purpose of the CBCT scan, visually communicate the imaging goals and also help you differentiate your practice. Case share provides a safe, efficient and collaborative approach to patient care by allowing you to easily share your radiology files and reports among your peers by just having their name and email address. Case sharing also ensures the best diagnostic interpretation of any case as our radiologists support each other to solve challenging cases. Here’s how you can share your case! Our educational wing, Institute of Advanced Maxillofacial Imaging (IAMI), offers short, live and interactive courses to help clinicians enhance their knowledge base and make informed decisions about imaging goals and diagnostic objectives. 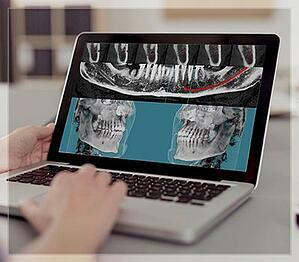 To register for a two-day live course on “How to Read a Cone Beam CT”, click here! You can also sharpen your imaging and diagnostic skills used in modern practices through these additional resources that we offer on our portal under the menu Education>Resources. We also get you access to articles by our OMRs published by in some reputed journals in the field of dentistry under the menu Education>Articles.